ARM Limited is a privately owned company based in Rugeley, Staffordshire. Established in 1947 as agricultural engineers, since the 1980s, we have specialised in the development and application of natural wastewater treatment systems using constructed wetland technology, Please read a little more about us below. Our comprehensive range of services ensures each project is fully managed from concept through to completion. This includes: consultancy, design, project-management, construction and aftercare. Committed to research and development, we are continually establishing new ways of treating wastewater naturally by investing in trials of new wetland configurations to improve contaminant removal. We have introduced new technologies to the UK including ground-breaking Forced Bed Aeration™ (FBA™) wetlands and designed the world’s first drinking water sludge treatment wetland system. Designing over 500 treatment systems, we provide wastewater treatment for a whole range of applications and continue to pioneer new ideas which will help improve performance in contaminant removal. Working across a range of sectors, the strength and depth of our consultants enables ARM to deliver a flexible, tailored solution to meet individual requirements. ARM have access to a wide variety of Resources that our competitors may not have access to, The first of these being our Staff. ARM employs over 20 people from a variety of backgrounds, with an array of specialist skills tailored to work well within the wastewater treatment industry. ARM LTD Recognises that the management of systems for quality, occupational health and safety and environmental care play a crucial part of its operations. We view maintenance and improvement of these management systems as a primary responsibility for the company. They may be acquired below. ARM’s Quality Policy can be downloaded by clicking the link to the left. ARM’s Environment Policy can be downloaded by clicking the link to the left. ARM’s Health and Safety Policy can be downloaded by clicking the link to the left. ARM’s Anti Fraud and Bribery Policy can be downloaded by clicking the link to the left. ARM’s GDPR Policy can be downloaded by clicking the link to the left. Aside from being founder members of both the Global Wetland Technology group and the Constructed Wetland Association, we are certified in the following areas of health, safety and capability. 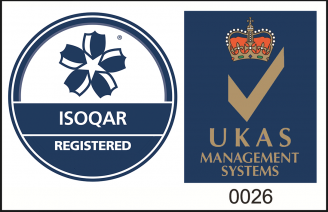 In July 2000 we achieved certification with the International Standards Organisation’s Quality Management Standard (ISO 9001:2008) for the design, consultancy, construction and servicing of waste water treatment, or related systems, and supply of engineering products. To view that certificate, please click here. In March 2005 we achieved certification with the International Standards Organisation’s Environmental Management Standard (ISO 14001:2004) and are a licensed waste carrier to ensure waste handled by third parties on our behalf is also managed responsibly by licensed carriers, handling and treatment facilities. For further information, please download our Environment Policy. To view our ISO 14001, please click here. The SMAS Worksafe contractor certification is a scheme aimed at enforcing the safety of the workforce via an appropriate and applicable documented health and safety system. You can view our certification here. 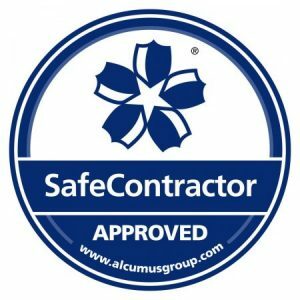 Alcumus Group employs circa 700 people and supports more than 30,000 clients in the UK and internationally with their Testing, Inspection & Certification (TIC) and Governance, Risk & Compliance (GRC) strategies. You can download a copy of our certificate here. Our Waste Carriers license enables us to move waste from site, and also to organise the removal of waste from site. To view the certificate, click here. The Utilities Vendor Database (UVDB) Provides supplier management information to utility purchasing organisations. Over 30 utility companies and more than 35 of their contracting partners use the system to qualify their supply chain through a standard assessment of their management systems and site performance. 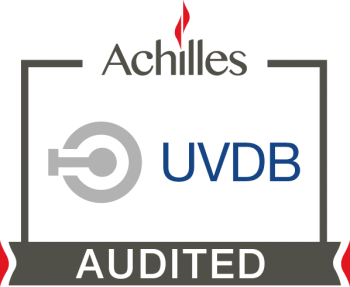 ARM is rgistered with UVDB and has undergone the UVDB Verify audit and assessment service to ensure it is compliant with safety , health, environment and quality (SHEW) requirements. Our certification may be found here. ARM is a member of the GWT (Global Wetland Technology). Global Wetland Technology is a consortium of companies which have been operating for almost 20 years in the Environmental Engineering sector, with particular specilisation in waste water treatment and water pollution control by Constructed Wetlands. ARM are members of Constructionline. You can find our membership certificate here. ARM Received an award in 2013 for the construction of the Lower Basildon sewage treatment works. You can view the Lower Basildon case study here. 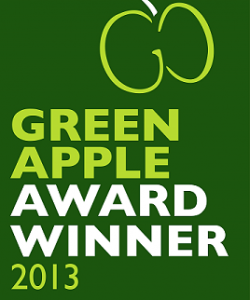 ARM Were awarded theGreen Apple Environment Award Winner 2013 – Finalist for the Hanningfield project. You can view this case study here.